Oh Mumma, the horror, the horror! 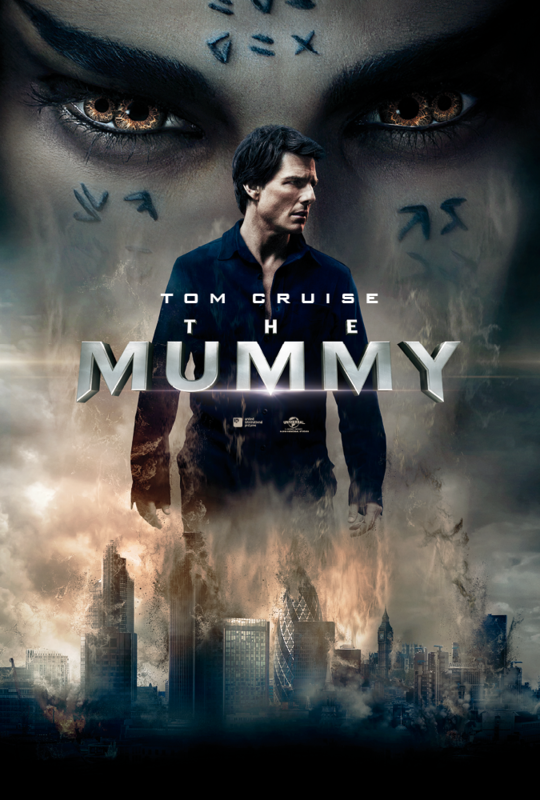 An ancient Egyptian princess (Sofia Boutella) is awakened from her crypt beneath the desert, bringing with her malevolence grown over millennia, and terrors that defy human comprehension. Okay, it wasn’t that bad BUT it wasn’t that great either. To be honest, the opening act didn’t mess about. It quickly set up the premise. Flicked back and forth from one ridiculous explosive set piece to another. Cruise’s cocky Indiana Jones just about got away with it. I mean, fair play to the 55 year old for still throwing himself about and jumping across rooftops. I really hoped Cruise and Jake Johnson’s (New Girl) pairing would have worked better. Johnson’s incessant yelling did my head in. Especially in the frenetic opening Iraq shoot em up sequence. I just wanted him to shut up. Thankfully his swift exit was a pleasant relief. No scarab beetles?! No Omid Djalili screaming like a banshee? (What?) Camel spiders and rats? Really? Meh. The tone was all over the place. Too stupid to be funny and NOT dark enough to be a real horror. The 1999 Stephen Sommers blockbuster and The Mummy Returns were perfectly balanced. They played the right level of cheese, humour (John Hannah, come on!) and let’s not forget that tongue in cheek horror. The less we say about Tomb of the Dragon Emperor, the better. Let’s not forget there was a reason why the franchise got rebooted in the first place. The problem with this reboot was that I couldn’t stop making comparisons to the Fraser flick. On paper, swapping the dynamic around (Making the Mummy female) and modernizing it actually had potential BUT it failed to offer anything new. Arnold Vosloo was a sinister presence. 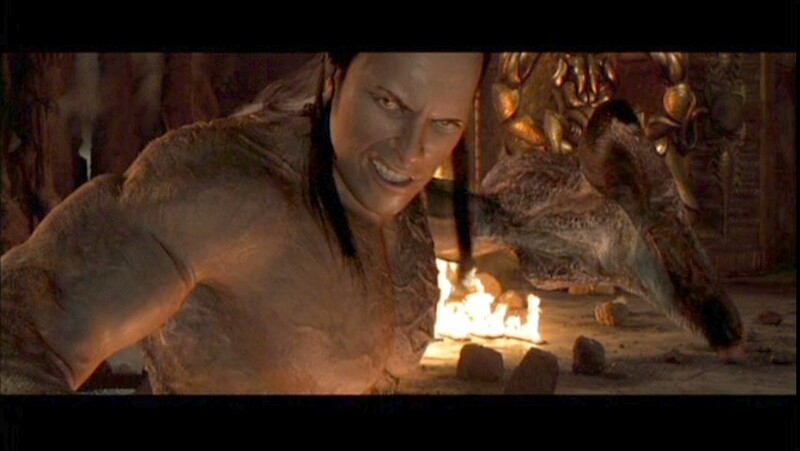 A creepy adversary (And no, let’s not mention the horrifically CGI’d Scorpion King). Boutella did her best with the role BUT her lines were dull and she spent too much time in the background. Annabelle Wallis (Peaky Blinders) was far too serious and annoying for her own good. Rachel Weisz (my first screen crush. Don’t know why I thought I’d share that) was irritating but had her charm. There was zero chemistry between Cruise and Wallis. Replacing smouldering tension and friction with playground insults and more yelling. Ben Seresin’s cinematography was fantastic to look at. The visual effects were impressive BUT not memorable. It was going to be tough to top Imhotep’s smiling face in the sandstorm. Still haunts me . . . Moving on . . . There were some good points (Really?). The make-up and effects were impressive. The creepy zombie soldiers and their Dementor style death kiss was a nice touch. Soul kissing the life out of people in the background while Cruise and Wallis continued to bicker and highlight enormous plot holes. Johnson worked at lot better when he popped up in Nick’s (Cruise) subconscious. The bathroom encounter had a creepy American Werewolf in London vibe to it. Cruise’s comical crusty corpse church punch up had me in stitches. BUT it just didn’t quite have the fun of O’Connell’s crypt chase. Despite the vacuum sized plot holes (Seriously who brings a hostile ancient evil right to the very thing she is seeking. Face palm. Duh! ), the writers really missed an opportunity with Russell Crowe. He lapped it up as Jekyll. He lifted every scene with the right level of flamboyance. The exact thing needed to keep a silly monster movie like this entertaining. And he was only in it for 15 minutes. Sigh. Even if his Hyde impression was a little Ray Winstone incarnate with some messy panda eyes. 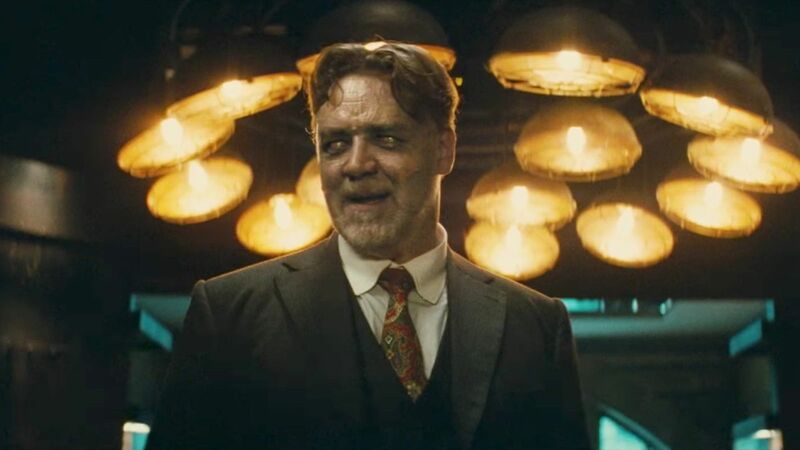 Seriously, let’s make him Crowe look evil. Smear some runny mascara over his face. That’ll do it. Did they run out of money? Normally you can bank on Cruise to deliver a big popcorn movie. And he makes this mess watchable. He was just lucky that Alex Kurtzmann threw enough chaotic smash em grab em to hide what a mess this really was. BUT I didn’t expect too much and I’ve seen a lot worse for the ratings this film has received. A mess BUT a watchable one. At least. Fraser fans may be left fuming BUT if you want a frantic time filler with enough bang for your buck, it won’t do any harm. Just don’t expect too much.